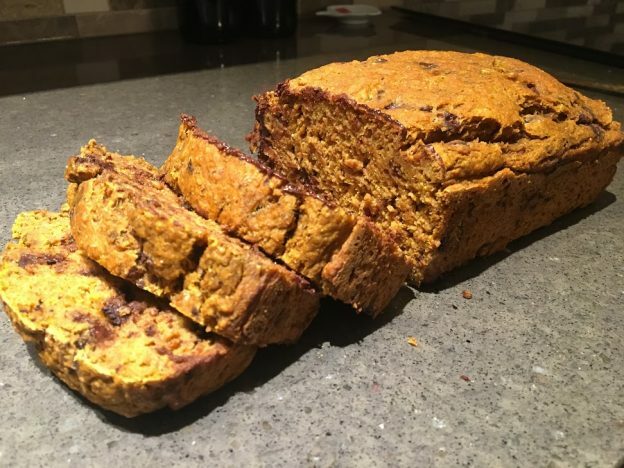 Healthy Chocolate Chunk Pumpkin Bread - U-RAAW! Who says you can only eat pumpkin flavoured foods in the fall?! It’s February and I am still enjoying the great minerals and antioxidants from pumpkin in the form of baked goods. This pumpkin bread is delicious and moist, while beneficial for your health. The recipe uses greek yogurt and a dash of olive oil instead of butter, as well as bananas with a touch of maple syrup to replace sugar. There is no added sugar or white refined flour! And that’s it! Super easy, delicious, and will make your whole house smell amazing! Be sure to try it out for yourself and let us know what you think.